Jeremiah 1:5-"Before I formed thee in the belly, I knew thee; and before thou camest forth out of the womb I sanctified thee, and I ordained thee a prophet unto the nations." Ransomed is a group dedicated to pointing unbelievers to the Cross and encouraging believers in the church to a deeper walk with the Lord Jesus Christ. 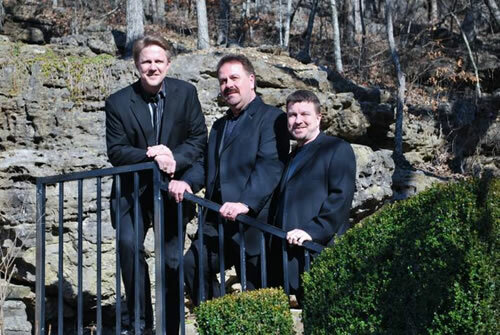 The members of Ransomed are Chris Berry, Joe "Bonus Berry" Gordon, and Steve Berry. The hearts they have for the Lord are clearly evident in the songs they sing and the passion they sing with. Their deep friendship shows from the moment they start singing until the end of the service. High energy, tight harmonies, and powerful vocals have been the trademark of Ransomed since 1998. The Ministry philosophy of Ransomed is to remain faithful to Biblical truths and maintain a high level of class in the presentation. A top priority of Ransomed is to give their best each and every time as an offering to the Lord and to meet the needs of the congregation.